When we ship out orders to our clients we encourage them to take photos of the finished installation! These are a few of the new bathroom install photos we've received! 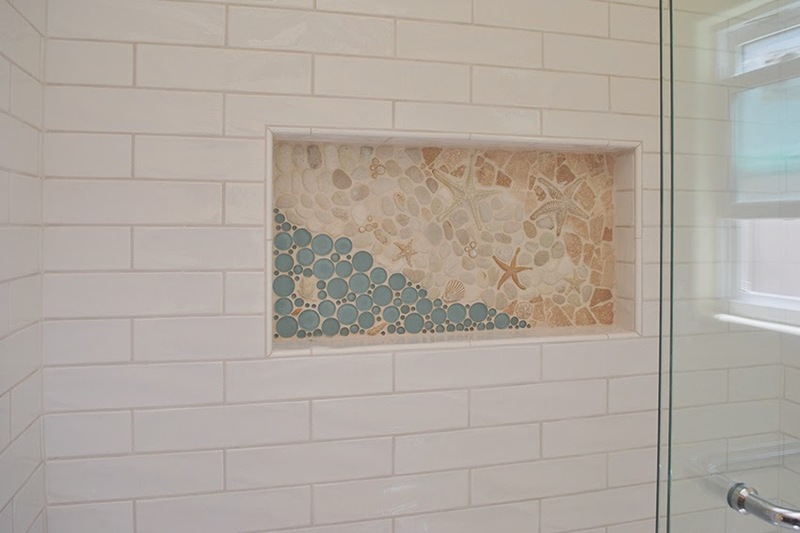 A cool and funky custom border for this customer's shower! 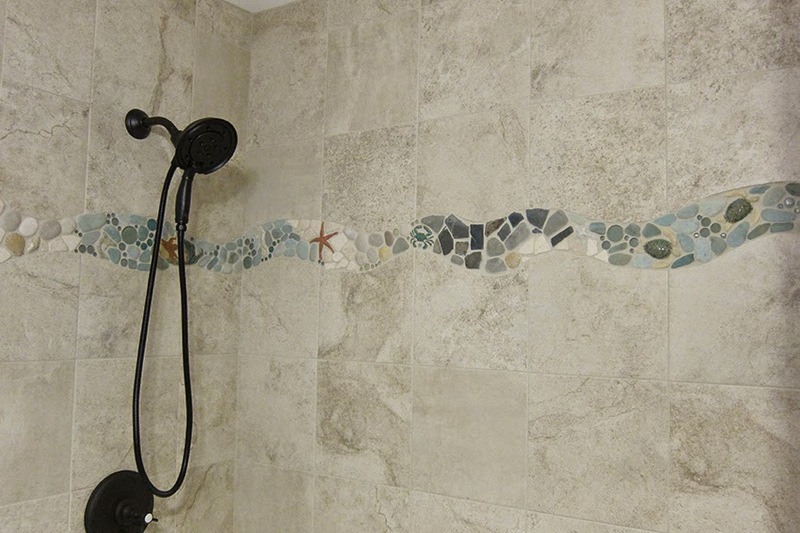 A custom mural based off our "As The Tide Goes Out" mural for this shower niche! 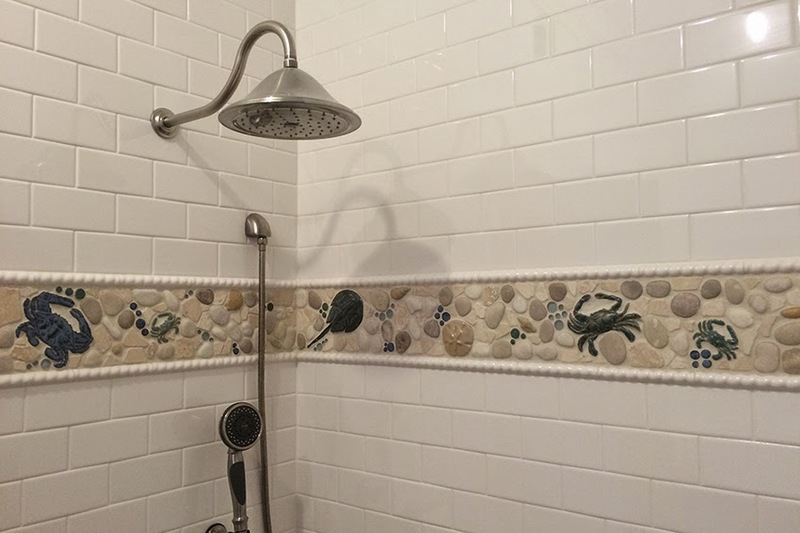 Another fun border to wrap around this shower! 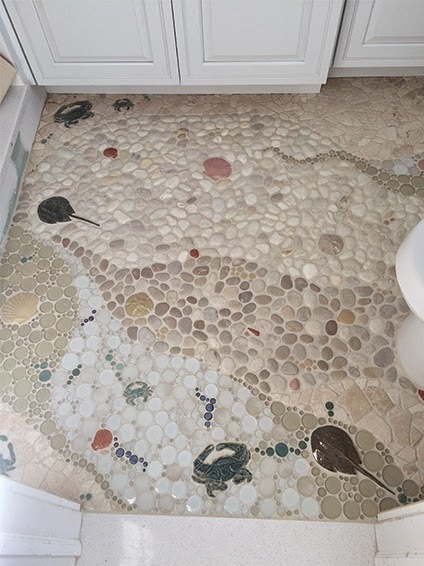 And last but certainly not least, an entire bathroom floor! There are shells, sand dollars, and different sized crabs all through-out! 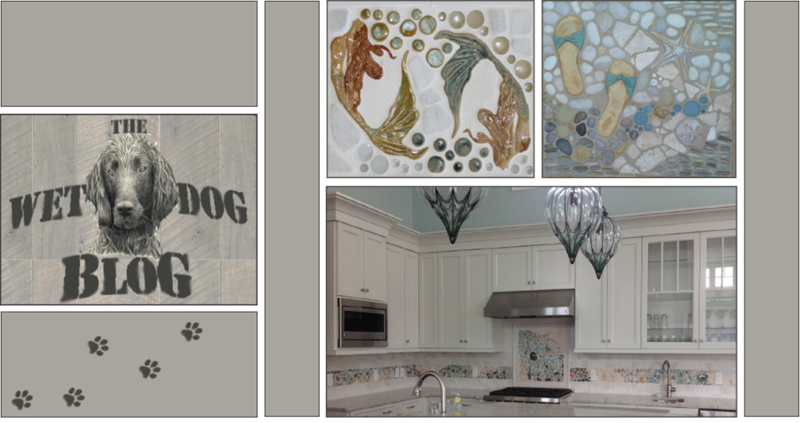 We always have fun creating our borders and murals, but this order was one of our favorites! Which is your favorite? Drop us a comment!